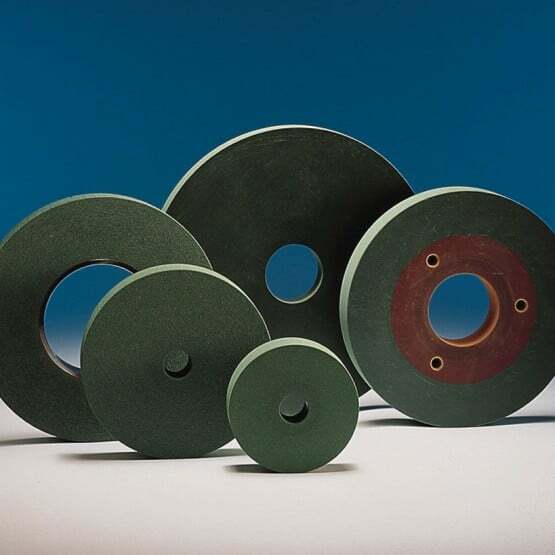 RGPW grade polishing wheels were developed as “own label colour” for a USA customer in the 1980’s, it is a rubber bonded abrasive polishing wheel for glass edges incorporating abrasive grains, cerium oxide to a give a long life wheel and a bright, clear polished edge. 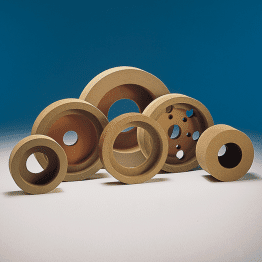 This wheel is manufactured in all standard sizes of 4″/100mm, 6″/150mm, 8″/200mm and 10″/250mm for Besana machines, with thicknesses of 5/8″/15mm, 3/4″/200mm, 1″/25mm and 1-1/4″/30mm. Non-standard sizes on request. 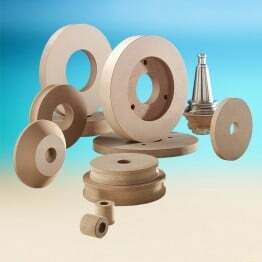 It can also be manufactured with a metal centre / bore ring to run safely on machines operating at up to 3400 rpm (60hz power supply) with a 8″/200mm diameter wheel. 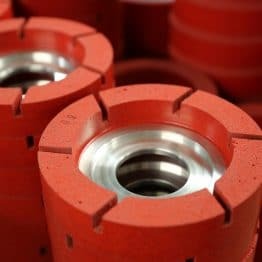 All polishing wheels sold by Marrose are manufactured with British technology, quality and service in England, U.K.
Our Promise: 100% effort to deliver a high quality product to meet your requirements on time and with the best value for money. 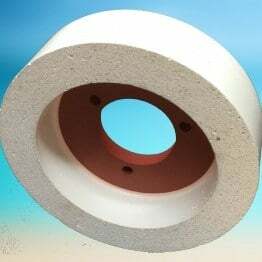 Glass Polishing Wheel for glass edge work on furniture, white goods and architectural glass.